Files with sd extension might also be CAD drawings from Mechanical Toys program. Education program. File extension sd is also used for one of the default files in the Mechanical Toys design technology program from Focus Educational Software. These .sd files contain CAD drawing created and saved in the program. 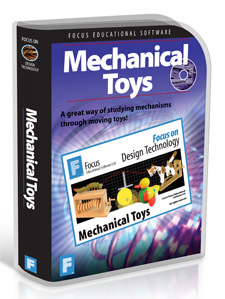 Mechanical Toys is a software used to teach and aid students in the field of design technology. The program offers VLE SCORM resource support and the teaching of KS2 and KS3 Mechanical and Moving Toy themed projects. You can open and work with the .sd projects using the Mechanical Toys program. If any program can convert or export .sd files, it would be Mechanical Toys. Programs supporting the exension sd on the main platforms Windows, Mac, Linux or mobile. Click on the link to get more information about Mechanical Toys for open sd file action. Programs supporting the exension sd on the main platforms Windows, Mac, Linux or mobile. Click on the link to get more information about Mechanical Toys for edit sd file action. Programs supporting the exension sd on the main platforms Windows, Mac, Linux or mobile. Click on the link to get more information about Mechanical Toys for create sd file action.